Malaysia aims to be among the world’s top 10 tourist destinations in 2019, said Tourism, Arts and Culture Minister Mohamaddin Ketapi today. 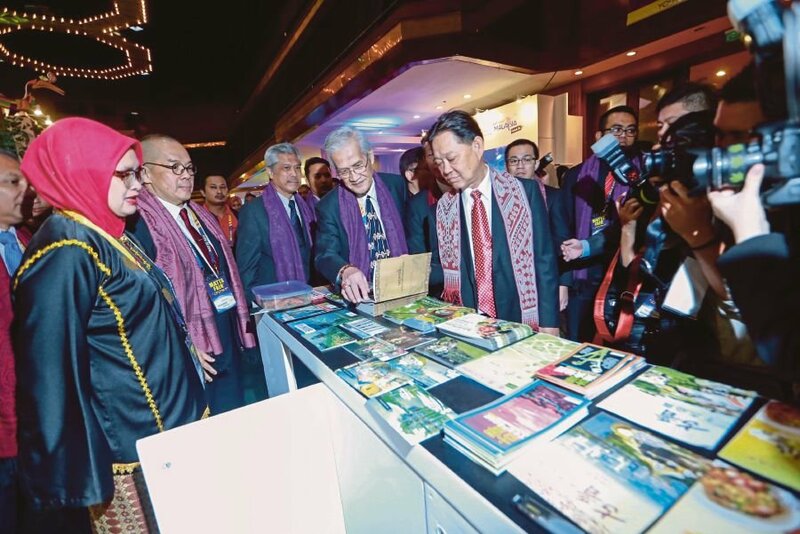 He said the ministry has undertaken several efforts to promote Malaysia as a must-visit destination and will set new strategic directions to provide a conducive environment for industry players to drive and boost tourism growth. “It is our aim to improve the country’s position after being ranked number 12 last year. We must be more competitive internationally. “We will have good cooperation between federal and state governments to promote Malaysia and discuss with local airlines companies to have more direct flights to Malaysia,” he told a press conference after launching the Matta Fair 2018 at Putra World Trade Centre (PWTC) here today. Mohamaddin said with resilience, innovation, product quality and excellent service standards, the tourism sector should be able to drive the nation forward, making Malaysia a preferred travel destination for tourists. He said the tourism industry in Malaysia had grown significantly and is targeting a foreign tourist arrival goal of 26.4 million with a total expenditure of RM84.9 billion this year. From January to April 2018, Malaysia recorded 8.4 million international tourists, an increase of 37.2 per cent from China, India (21.2 per cent, South Korea (26.5 per cent, Canada (28 per cent) and United States of America (23 per cent).